From another angle- Jack and Paul surrounded by Fussy Budget's puppies. Fussy delivered the pups in the coal bin and was tragically killed by a coal delivery. 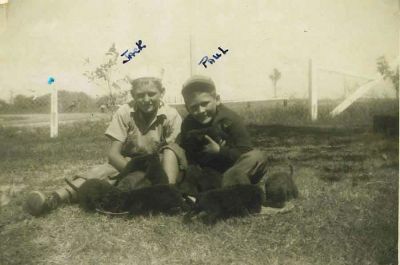 Jack and Paul raised the 13 pups on milk, feeding them with a baby's bottle.